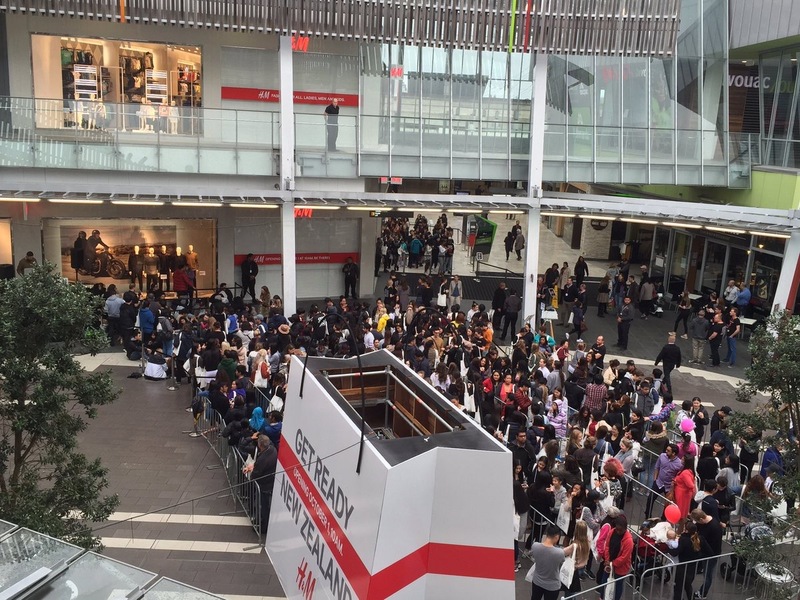 H&M has opened its first store in New Zealand. With locals queuing from 5pm the night before the opening day, the 2,300 square metre store in Auckland houses a selection of fashion and accessories for men, women, youth and kids. The hype outside the store began at 7am when H&M gave coffee, juice, crumpets and exclusive gift bags to those who were first in the queue. New Zealand DJs Clint Roberts, Aroha Harawira and Tim Lambourne also performed. 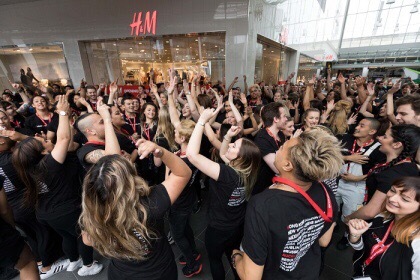 H&M’s Australian and New Zealand country manager, Hans Andersson, New Zealand sales manager, Daniel Lettemann and store manager, Mino Kim, all officially cut the ribbon and welcomed shoppers. Posted on October 6, 2016, in Other. Bookmark the permalink. Leave a comment.